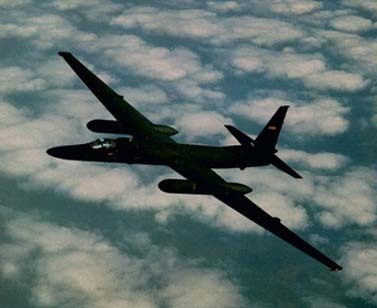 The U-2 has provided continuous day and night, high-altitude, all-weather surveillance and reconnaissance in direct support of U.S. and allied ground and air forces. The U-2S is a single-seat, single-engine, high-altitude, surveillance and reconnaissance aircraft. Long, narrow, straight wings give the U-2 glider-like characteristics and allow it to lift heavy sensor payloads to unmatched high altitudes quickly, and keep them there for a long time. The U-2 is capable of collecting multi-sensor photo, electro-optic, infrared and radar imagery, as well as collecting signals intelligence data. It can down link all data, except wet film, in near real-time to anywhere in the world, providing war planners with the latest intelligence possible. The U-2 has one the highest mission completion rates in the U.S. Air Force despite the fact that the aircraft is the most difficult to fly due to its unusually challenging takeoff and landing characteristics. Due to its high-altitude mission, the pilot must wear a full pressure suit.